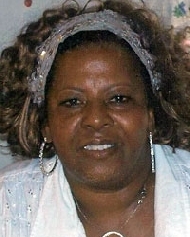 Theresa Martins obituary. Carnes Funeral Home. Jun 17, 2012 The Carnes Funeral Home Staff offers our sincerest condolences to the entire Martins family. It was our honor to serve your family. First and foremost, we would like to thank you, God, for sending us a beautiful wife, mother, sister, aunt and friend. She was born to Theresa Carrier Lawson and Eddie Lawson on April 26, 1951 in Lake Charles, Louisiana. Theresa was also known as "Nee-Nee" and "Granny''. She loved spending time with her family and dogs, Ma-ma, Smokey, and Cookie. She worked for Allied Barton at United Space Alliance in Clear Lake City, Texas. Theresa accepted Jesus Christ as her Lord and Savior and she now rests with Him. She was a member of Queen of Peace Catholic Church. She is preceded in death by her parents; brothers, Earl Lawson and Eddie Lawson Jr.; and her son, Shanacey Lawson. Left to cherish the memories of her life are her husband of 37 years, Kenneth Martins; sons, Nigel (Bridgett) Martins and Kenneth "Boo" Martins II. Five grandchildren, Shanacey "Tu" Lawson II, Sha-Nia "Mommee" Lawson, Jace Phillips, Jacob Phillips and Nigel "Champ" Martins II; aunts, Betty Simpson & Patsy Richardson; siblings, Pamela Stevens, Cherlyn Carrier, Robin (Mark) Victor and Jacqueline Lawson, Ronald (Marie) Carrier, Freddie (Crystal) Baker, Donald (Elaine) Carrier and Jeffrey (Patricia) Carrier. She will also be missed by her adopted mother, Elzena "Mu" Nolley, and a host of aunts, uncles, cousins, friends and Godchildren. The Public Visitation will begin Friday, May 25, 2012 at 5:00 PM followed by the Reciting of the Rosary @ 7:00 PM. Both services will be held at Bay Area Funeral Parlor 5410 FM 1765@ HWY 3 Texas City, TX. Funeral Mass will be Saturday, May 26, 2012 at 11:00 AM at Queen of Peach Catholic Church 1224 Cedar Drive La Marque, TX 77568. Burial will follow at Mt Olivet Cemetery Dickinson, TX 77539. Memorials may be sent to the Funeral Home. Thank you for your expressions love and consideration for The Martins Family.